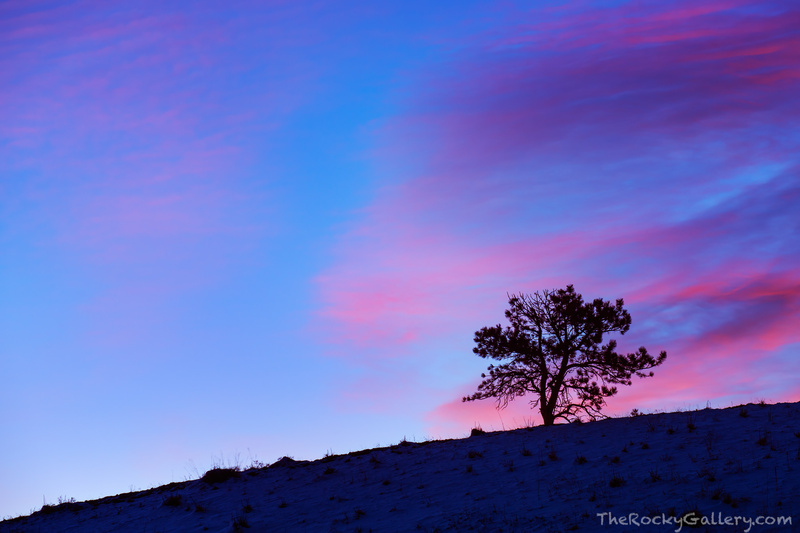 Sunrise reveals a colorful sky over Boulder,Colorado near Four Mile Creek Open Space. The pastels in the sky appear as if created by a painters brush on this beautiful morning. Photo © copyright by Thomas Mangan.